Today, I learned about the passing of one of my favorite authors, Terry Pratchett, from a particularly nasty variant of Alzheimer's Disease. When I heard that he had died, I felt the loss keenly, in that particularly odd way that feels both deeply personal, and somewhat bizarre, given that I hadn't really known the man in the here-and-now sense of the word. I had been reading Sir Pratchett's books since I was an adolescent, and since he was an extremely prolific author, I avidly consumed his new work nearly every year, as excited to get my hands on his new hardback novel as others my age were to go to the hippest of concerts or shows. So much of a person goes into writing a book; there is a reason that writers sometimes call their books their children. In that sense, I felt I knew Terry, or at least his wry outlook, quite well. Witty, insightful, and wise, Terry's work was not only an escape, but also an entry into the sharp observations of a brilliant satirist that helped me see everyday life through a wiser pair of eyes. Mr. Pratchett's work, as well as countless others, informed the way I saw the world; as a small girl I was terribly shy, and felt at least as tied to the characters I met in stories as I did in everyday life. In my early childhood, I shared a room with my eldest sister who was profoundly affected by Down's Syndrome and associated medical conditions, and I wanted some answers about life from day one. Books became my portal to understanding, or at least the first glimmers of it. From C.S. Lewis to Anne Frank, Lewis Carroll and P.G. Wodehouse, it was in the act of reading that I became a keen observer of people and their stream of thoughts and emotions. I learned strength and transformation from the stories of Frances Hodgson Burnett, courage from L.M. Montgomery, and history from Sydney Taylor. When I struggled with understanding human nature (Pratchett), or finding meaning in the chaos of growing up (Viktor Frankl and Elie Wiesel), I delved into a book, both for solace and for answers. As I grew older, I used my camera to explore human nature, and still later did my graduate work in counseling psychology, to find more answers. But it all started with losing myself in the printed page. As a photographer, we're told in schools and seminars to photograph what you know. We are to ask ourselves, "What brings meaning into your life? What draws you in, and what transforms you?" So for me, choosing my preferred subjects was just a matter of looking for my own axis. And it was also a way of saying thank you for all the wisdom I'd gained from my childhood idols (thank you Madeline L'Engle, Willo Davis Rogers, Robert Heinlein), to the written voices that instructed me on how to counsel (Carl Rogers, Aaron Beck), and to those that brought me a smile when the day had been awful and I simply needed a good yarn to regain my faith in humanity (Neil Gaiman and Pratchett, Good Omens). Now, reading aloud to my own daughter allows me to transfer that love and knowledge to the next generation (J.K. Rowling, thank you for many warm evenings of sharing your magic with my family, each of them chiming in with their own take on your beloved characters). Now that I've been photographing authors for about five years, I can also tell you that authors, as a group, are a joy to partner with - people of substance, with rich inner lives, often wickedly funny. Many of them (but certainly not all) have an introverted sensibility which I bond with, because the challenge I most enjoy is bringing the insides of complex personalities to the forefront of an image. It is such a privilege to have the opportunity to work with a some of the great minds that are creating today's stories - many of whom I have, or will create visual stories about in this blog in the months to come. So, perhaps this is my love letter to the storytellers, as well as my explanation for why I do what I do. 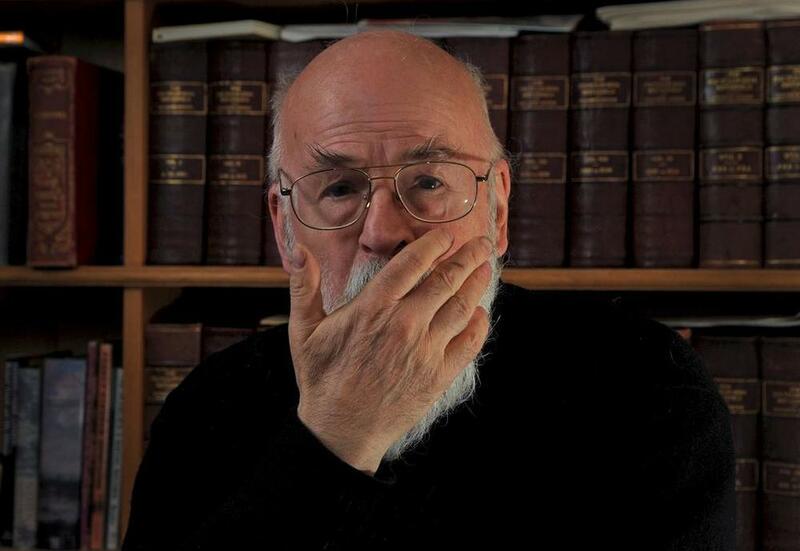 Thank you, especially, to Sir Terry Pratchett, for your legacy. You, and your stories, will be so missed.